Category: We love the Environment! Written by EverEscents on September 15, 2017 . Posted in Feel good stuff!, Healthy Lifestyle, We love the Environment!. Did you know that Over 50% of us are regular coffee drinkers, with 16.3 million coffees being consumed daily? Written by EverEscents on July 28, 2017 . Posted in Healthy Lifestyle, We love the Environment!. Written by EverEscents on September 14, 2015 . Posted in We love the Environment!. At EverEscents we believe that all businesses should be responsible for the effect their activities have on the environment. EverEscents is committed to operating a sustainable business ensuring all of our activities are in the best interests of the environment. We always use environmentally sustainable resources and certified organic ingredients wherever technically possible and economically viable in the production of our EverEscents brand. The whole team at EverEscents is committed to supporting initiatives that contribute to the economic, social and cultural growth of Australia and its communities. EverEscents will continue to choose ingredients that are responsibly harvested and trade wherever possible with Australian communities who can benefit. Australian Trade is about purchasing and sourcing natural ingredients from Australian producers, growers and manufacturers – this includes packaging, bottles and promotional materials. EverEscents is accredited as Australian Made and Owned and licenced to display the logo as your guarantee. We are proud to announce that EverEscents Organic Hair Care was recently accredited cruelty free by the independent Australian body called Choose Cruelty Free. You can check them out at www.choosecrueltyfree.org.au. EverEscents is completely against the testing of cosmetic products and ingredients on animals. We do not and will never test our products or ingredients on animals, nor will we ever commission others to do so. EverEscents will continue to campaign until there is a world-wide ban on testing cosmetic products and ingredients on animals. 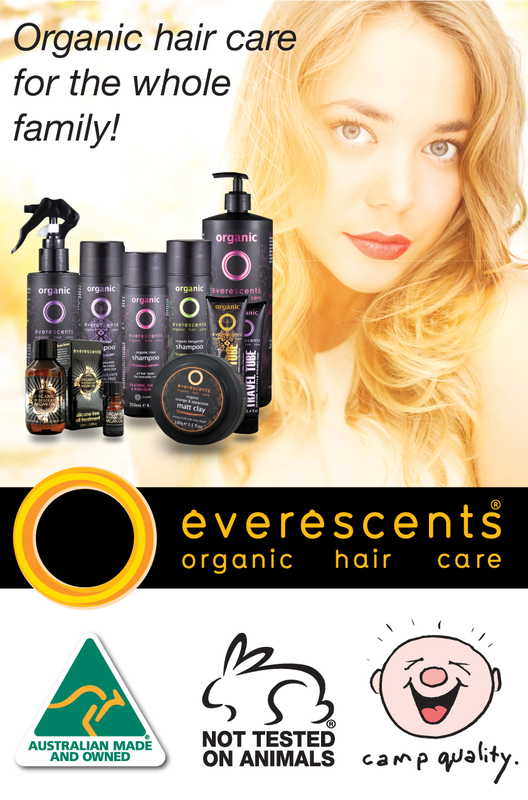 The EverEscents philosophy is to offer a high quality professional range of hair care products that are made with Organic ingredients whilst all business practices are conducted with the utmost respect for the environment and all those that live within it. We hope that you enjoy our products and know that you are also doing your part to purchase responsibly. Written by EverEscents on July 20, 2015 . Posted in We love the Environment!. Did you know that more than 200 viruses cause the common cold? As we are in the middle of winter, we are in the heart of the dreaded cold and flu season. But there’s no reason to resign yourself to living off cold medicine and cough drops for the next few months. 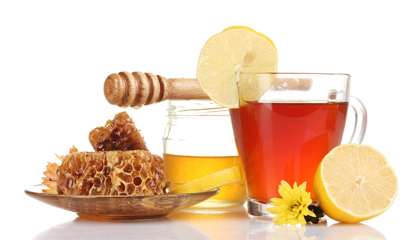 There are plenty of natural remedies to help you boost your immune system and stay healthy all winter long. The best thing you can do to protect yourself from colds and flu this winter is to strengthen your immune system naturally with immune-boosting foods and nutritional supplements. GARLIC: Raw garlic in the diet is very beneficial, however cooking garlic can destroy some of its health-promoting compounds. One way to get around this problem is to take Kyolic aged garlic extract. The natural ageing process increases antioxidant levels and enhances garlic’s immune boosting powers. It also has the added benefit of being odourless. VITAMIN C: Vitamin C is an extremely important nutrient for boosting immunity. Include plenty of foods high in vitamin C in the diet, including fresh fruits and vegies, especially citrus fruits, kiwi fruit, strawberries, broccoli, cabbage and parsley. A vitamin C supplement is also recommended to ward off colds and flu, take around 2-3 g a day. ZINC: Zinc is another important mineral needed for healthy immune function. Zinc is found in foods such as red meat, chicken, fish, dairy foods, eggs, legumes and sunflower and pumpkin seeds. Taking a zinc supplement is also beneficial, around 45mg a day. PROBIOTICS: Kombucha tea is a fermented tea that contains billions of friendly gut organisms (probiotics) that help to strengthen your immune system by bolstering the levels of good organisms in your gut, which provides a first level of defence against pathogens from things you ingest. OREGANO OIL: Oregano oil can help you improve your gut health and boost your immune system. It acts kind of like a weed killer by helping to eliminate some of bad bacteria that may be dominating your digestive system. JAPANESE MUSHROOMS: Whatever variety you choose – enoki, shitake or oyster – Japanese mushrooms are a great immunity booster. They are also loaded with ergothioneine, a powerful antioxidant that does not get destroyed during the cooking process. Written by EverEscents on July 5, 2015 . Posted in We love the Environment!. The population of industrialized countries for decades has been brainwashed into thinking the sun is evil. They’ve been told to cover up their skin and to avoid being exposed to natural sunlight. They’ve coated themselves with sunscreens which contain toxic chemicals, and taken extreme measures to avoid sunlight. However, this advice has turned out to be completely wrong. Natural sunlight is absolutely essential for good health and without it you are far more susceptible to cancer, depression, obesity, osteoporosis and many other diseases. 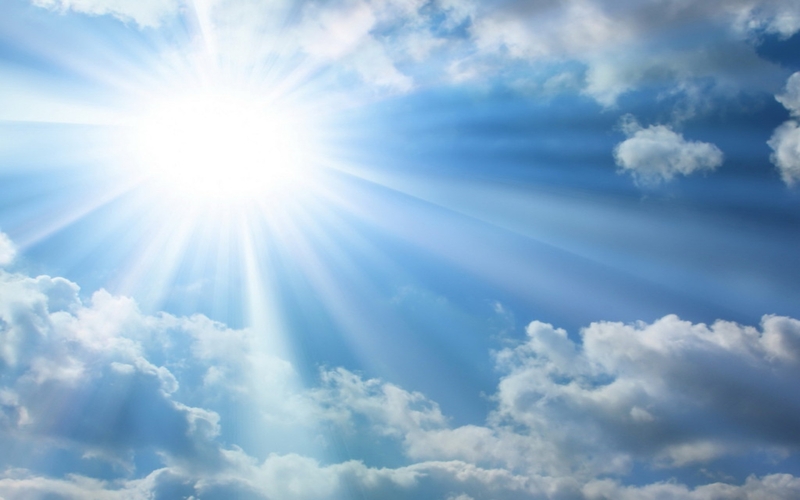 Sunlight is a natural cure that helps the body maintain a high state of health. But what about sunburn? People are only susceptible to sunburns when they have nutritional deficiencies caused by consuming soft drinks, processed foods, white flour, refined sugars and other similar substances. It’s sad that many doctors are still telling their patients to avoid the sun and this process is killing them. It is precisely the sun that holds the cure too many diseases now considered epidemic in the Western world. We need more sunshine, not less, and while there is certainly such a thing as too much sunshine in one setting, the fact is that almost nobody living in modern cities gets even the minimum daily requirement of sunshine. This is even truer for people who have darker skin. Those of African descents are especially prone to Vitamin D deficiencies since their skin naturally blocks a significant portion of sunlight radiation. That’s why black men have a much higher rate of prostate cancer than white men. Furthermore, black men who live in northern climates, such as London or Canada for example have it even worse. It’s virtually impossible for them to get enough Vitamin D since there’s not much sun to be found where they live. Keep in mind, dark skin was an adaptation for people living near the equator, where sunshine is far more powerful! For a miraculous cure for sunburn, try lavender essential oil. It is best to drop it on, and then spread it using gentle pressure. After about a half hour or less, the pain should be gone. Wait until morning to shower and then reapply oil. Written by EverEscents on February 15, 2015 . Posted in We love the Environment!. Baking soda is a natural drain cleaner! Measure 1/2 cup baking soda and 1/2 cup vinegar. Pour the baking soda into the drain first, followed by the vinegar. It will bubble furiously. Follow with two quarts of hot water. Please do not use this method if you have recently used commercial drain cleaners. Eliminating drain cleaners from your home is a giant step toward a greener home, as they are among the most dangerous household chemicals available. Dissolve baking soda in water, and pour into a spray bottle. This mixture can be used as a general cleaner for all surfaces. Keep some dry baking soda handy in a jar with a shaker cap for jobs that need a bit more abrasive action. You can use this mixture to clean virtually anywhere in your home, including all kitchen and bathroom counter surfaces, inside the refrigerator, microwave, and dishwasher. Always rinse well. Written by EverEscents on August 15, 2014 . Posted in We love the Environment!. You may remember a couple of months back we did a fantastic blog on how to create your own organic veggie patch? As promised, please see progression images below, what a great result!